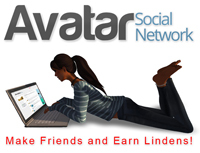 The virtual world is foremost a social media platform. But it connects residents in a much deeper way than any other online communities, and is even augmented by them. In fact, the Second Life ® population grows beyond itself by encompassing Facebook, Avatar Social Network, Second Friends, etc. into a much greater webwork. So what happens when artists from around the world meet? Sparks! Even those who have spent years in real life solo careers find new forms of influence and greater challenges from collaborations. When complementary minds meet, the product can be greater than the individual contributions. New tools are needed for interpersonal inspirations to flower. Collaboration is learned from doing it, with little information helpful. Each participant forges down new paths, stretching comfort zones and egos. There are some simple rules that many successful collaborators use, often unaware of them, but observable to others. These Rules are won from years in the trenches, successes versus failures, and extensive observation. 1. Flexibility. Inherently, SL demands flexibility. System glitches, time zone differences, multiple languages, and avatar masks, all make the environment demanding. But additionally, being open to ideas, and respecting 50/50 exchanges are mandatory traits to make sparks fly. Generating ideas follows a pattern: the first idea is the most conservative or obvious, the second idea is off-beat or crazy, and the third idea is usually the best one. If stuck on the first option, the third never materializes. 2. Share goals. Most conflicts can be resolved by a reaffirmation of the agreed intentions. Harnessing and blending the talents of each will be unpredictable. When roles are vague or motivations out of sync, collaboration will dissolve. 3. Communicate. SL is not the most dependable of environments. Connections can be interrupted, sims can crash, and most importantly, concerns in real life have to come first. 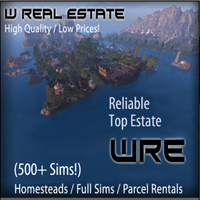 Few residents make a living in SL. The majority have first life jobs and bills that demand attention and time. So, the virtual life is a part-time commitment. If partners do not communicate, and share contacts outside of logging in, productivity is stalled. Great relationships are destroyed by bad communication. The majority of all conflicts fall into the category of poor understanding, versus devious intentions. 4. Ask first, judge later. Take good communication to another level by adding even more flexibility. SL has so many twists and turns by what creative people can dream up. Many mischief-makers enjoy manipulative games. And, it is a continually evolving 24/7 atmosphere. 5. Accept variation (’compromise’). If the result matches what can be done solo, why collaborate? If wanting just a pair of hands to execute dictated ideas, it is not a collaboration. The result must be a hybrid. 6. Respect. It is possible to have poor communication and lack of trust when working with others. The result won’t be as great as it could be, but many groups operate with limited factors. When there is respect, which is always earned, practicing these other Rules becomes rather easy. But without respect, the collaboration becomes unrewarding for everyone involved. 7. Trust. Do not lie. SL is a world where many enjoy games of deception. It is fine to play a character or a fantasy if a clearly defined role play. But once crossing the line of sharing ideas and further participation, deception inhibits the sparks, keeping them superficial. Trust develops ideas. Trust begins with giving it, and expecting it; those who can’t give trust will not receive it in return. For the most inspired pairs, the journey can’t always be harmonious. Part of the reason to work with someone else is to expand, and that is not an easy road if it pushes potentials. Conventions are challenged. So, having some rules to remember when things are not harmonious, helps to transform conflict into new, always better, directions. To compliment another artists’s creativity means to understand what each does best, then harness, and intensify those distinctions. Whether single-project, or long-term partnerships, by teaming up with like-minded creative compliments, the most exciting results are totally unexpected and take on a life of their own. But all have an approach and an openess that transcends individual egos to share a greater vision. 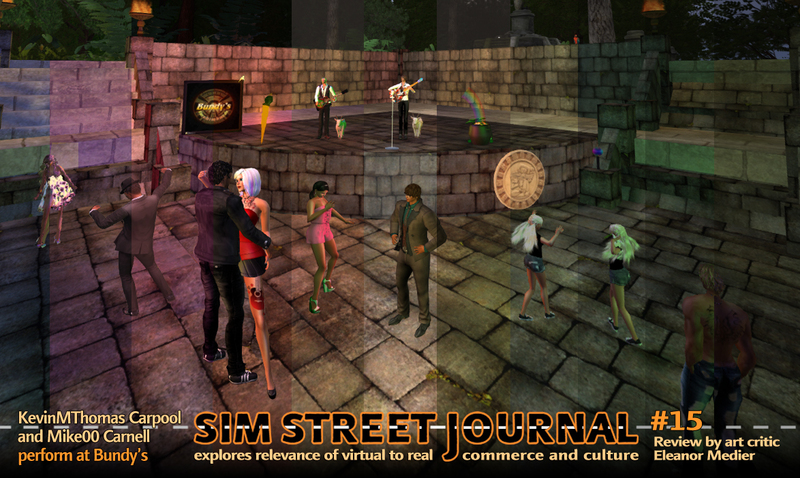 Please see the SL edition of Sim Street Journal #15 with comparative and critical articles that add to this online content.